Magical Lantern Festival London returns this winter to Chiswick House & Gardens this time with a Christmas theme from 24th Nov 2017 – 1st Jan 2018. The stunning landscaped grounds of Chiswick House & Gardens has yet again been turned into a magical wonder of light. You will get to discover life-size and larger-than-life lanterns in all shapes and forms, from ‘Santa and his Reindeers’ to a magnificent giant lantern recreation of an ‘Ancient city from the Song Dynasty’. However that is not all visitors will be able to enjoy much food and drink, have a drink at a bar, experience Santa’s Grotto, take a ride on one of the fairground rides (for children) and buy much merchandise/souvenirs to take home to have a reminder of the magical night they had. There really is no better family-friendly festival to visit this Christmas…..
To read more about the show click here or to buy tickets click here. 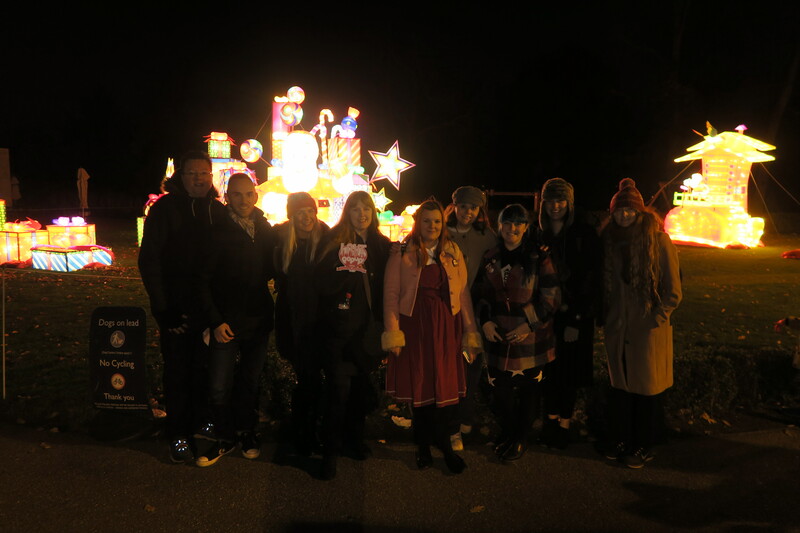 Thanks to Magical Lantern organisers who let some of the community members of Love Pop Ups London come down to enjoy their magical festival. Read all blogs/reviews from the comments section below. Magical Lantern Festival in Chiswick House Gardens makes a fun-filled evening for the whole family. An absolutely stunning illumination of beautifully coloured lanterns decorate the grounds of Chiswick House, we loved strolling around with our mulled wine! Our vlog gives you a peak of the Magical Lantern Festival! A great evening, thank you to Love Pop Ups – London for the Vlogging opportunity, and Magic Lantern Festival for the tickets. I visited the Magic Lantern Festival shortly after it being opened, and absolutely loved it! The designs and colours were amazing, there was such a mix of different styles and themes – christmas, disney, asian, animals…. so it didn’t get boring. Chiswick House & Gardens was the perfect location for it (although far out) as the gardens were a really nice setting and really added to the ‘magical’ atmosphere. And halfway through we could warm our hands with a warm fire and toast marshmallows – a lovely christmassy experience! Such a beautiful Festival of Lights.